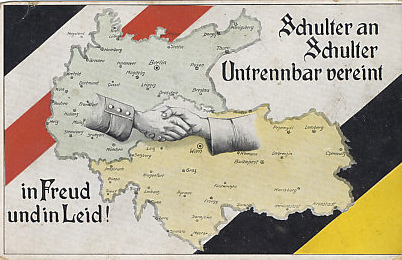 Zweibund - the Dual Alliance - Germany and Austria-Hungary united, were the core of the Central Powers, and here join hands. 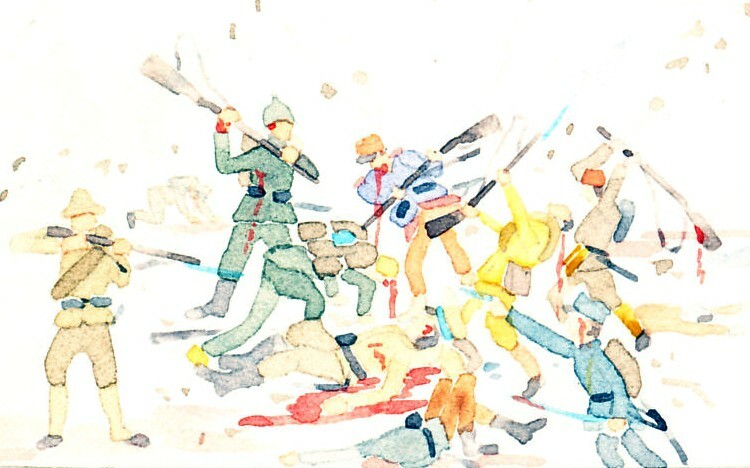 The bars of Germany's flag border the top left, and those of the Habsburg Austrian Empire and ruling house the bottom right. Copyright: 1978 by Oxford University Press, Inc.